An enchanting, absolutely charming and entirely renovated front-to-back 3-story, 6 Bedroom Stone Colonial with 2 Master Suites including one on the 1st Floor, ~Dogwood~ is beautifully situated on a magnificent 3.29-acre lot in the heart of Meadowbrook, lushly and colorfully landscaped, with slate roof, attached 4-Car Garage and Carriage House. Over 45 dogwoods plus specimen crape myrtles, hollies and cypress accent the grounds, with perennials providing a constant display of colors throughout the seasons. Hardwood floors, custom millwork & French doors thru-out and over $900,000 in recent improvements have perfected the blend of character with practicality to provide the comfort and elegance permeating this special country estate. The Center Entrance Hall opens to the spacious Formal Living & Dining Rooms both featuring hardwood floors & wood-burning fireplaces. The completely renovated Gourmet Kitchen (2007) offers a radiant heated, tumbled marble floor, granite counters, Dacor stainless ovens & 6 burner gas stove, Miele dishwasher & 42" cherry cabinetry and connects to the Butler's Pantry with 2nd dishwasher, wine cooler & Scotsman ice-maker. 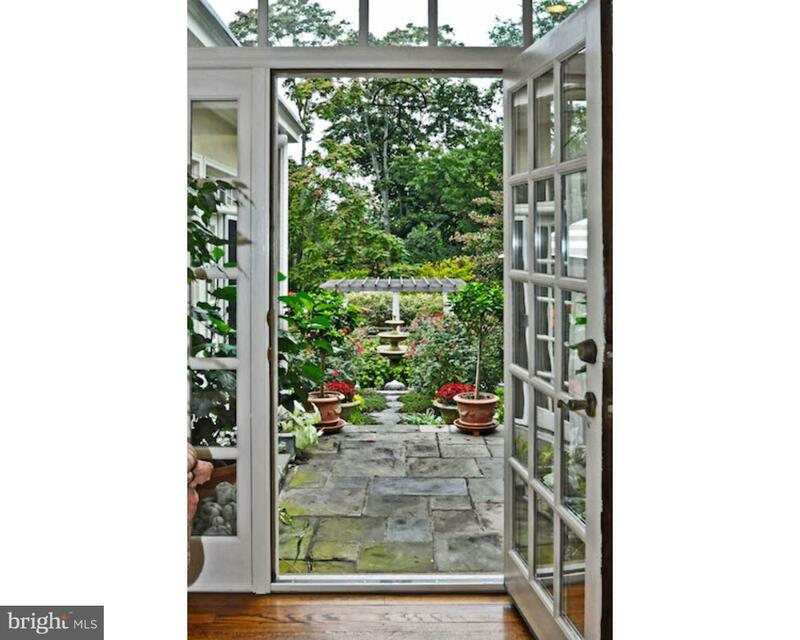 French doors from the Dining Room open to the Sun Room with walls of windows overlooking the grounds. The sun-drenched Family Room provides an entertainment center, plus a French door provides access to the rear Patio. The 1st Floor Master Suite w/new hardwood floors & gas fireplace features a half bath w/vessel sink & marble floor plus a totally renovated, elegantly appointed Full Bath (2012) with radiant heated marble floor, vanity with marble counter, stand-alone Victoria & Albert tub & spa steam shower w/3 shower heads. 2 staircases provide access to the 2nd floor which offers a 2nd Master Suite w/new hardwood floors, dressing room & Full Bath, plus 3 additional bedrooms & 2 renovated full baths (2016). The 3rd floor offers a 6th Bedroom plus terrific Recreation/Exercise Room w/fireplace plus renovated Full Bath (2016). The main house was connected to the Garage & Carriage House in 2007 with a new laundry room and a delightful 3-season Sun Porch w/vaulted ceiling. The 1-bedroom Carriage house can be rented. 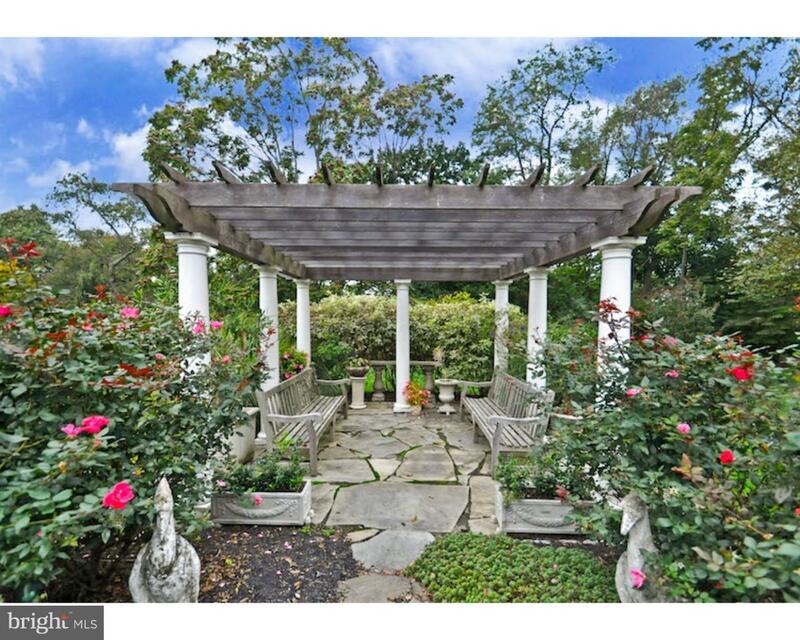 The magnificent rear grounds feature 2 slate patios, a Pergola with fountain and seating. Other special features include an upgraded security system and 7 zones of heat & air. Easy access to major routes & train station. Access to public sewer may be possible. 1 Year Home Warranty included.